The Inspector General of Police, IGP Ibrahim K. Idris, NPM, mni has approved beginning from Saturday December 31, 2016 the training programmed for various cadres of applicants who were adjudged successful at the recently concluded 2016 recruitment exercise into the Nigeria Police Force at designated Training Schools nationwide. 2. The recruitment exercise was jointly conducted by the Police Service Commission (PSC), the Federal Character Commission (FCC) and the Nigeria Police Force in compliance with presidential directives. 3. Sixteen (16) Police Training Institutions across the country have been set aside for the training exercise. Cadet Assistant Superintendents of Police are to report at the Police Staff College Jos, while Cadet Inspectors will train at the Police College, Ikeja.The Recruit Constables are to report at various Police Colleges and Training Schools in various sub-zones, designated for various states. 4. These include police training facilities in Lagos, Ibadan,Iperu, Orji River and Maiduguri among others. 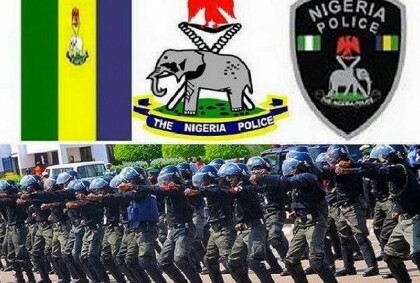 Police training institutions in Bauchi, Kaduna, Sokoto, Ilorin and Minna will also be used for the training exercise. Makurdi, Nonwa-Tai, Benin and Calabar make up the list of centres to be deployed for the training. 5. Applicants for the 2016 recruitment exercise are to check the national dailies, beginning from Saturday 24, December, 2016 for the publication of the comprehensive list of successful candidates. 6. Successful candidates are enjoined to report to their designated training centres along with the original copies of their certificates and credentials, as well as training kits as specified. 7. State governments, local governments, religious leaders, traditional rulers, community leaders, NGOs, CSOs and members of the public who have genuine and reliable objection or information to the character, conduct or personality traits of those selected should submit such objections or information in writing to the Inspector General of Police through the Commissioner of Police of the state Command of the selected candidate within three weeks of this publication. Pls what’s the fate of the shortlisted specialists that were sent back home from police staff college Jos before training. At least they needed to knw the way forward as the psc-recruitment portal is not responsive.